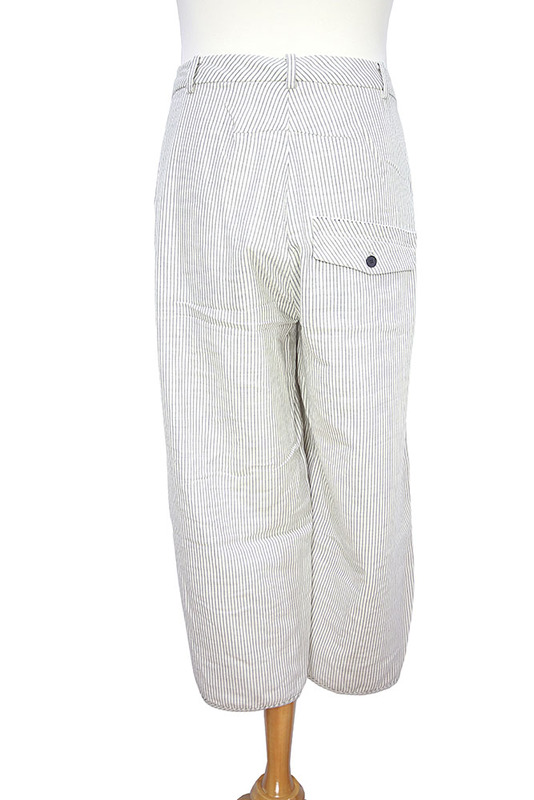 Aleksandr Manamis lowish crotch, stripe trouser, grey stripe on natural colour (Oyster). Ankle length with folded fabric at knees. Belt loops. Button fly with covering placket. Quite baggy. 2 side pockets and single rear pocket with flap and button fastening. 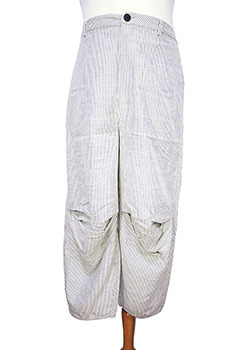 Great trousers in a brilliant fabric. Sizes are: ll - Small 32 inch waist, lll - Medium 34 inch waist, lV - Large 36 inch waist.